Middle school kids have so much on their minds--friendships, grades, parents, first crushes, appearances and more. They come in all shapes and sizes, growing and developing at different rates. From one day to the next their voices change, their bodies shift and grow, and while some begin to look like striking teens others still have their baby fat. How can we help them succeed? 1. Remind your kids: "You're fine the way you are!" • Foremost is the adjustment to a new school. They wonder if they'll keep their old friends as more kids flood down the hallways. • They so much want to be liked and approved of by their peers sometimes they forget they can just be themselves. 2. Have conversations with your kids about their teachers and you may be surprised the secrets that surface. • New schools mean adjusting to many teachers, some strict, some warm and permissive. • The best teacher-student match is hard to come by. 3. Remind your kids that middle school isn't time to prepare for college. It's time to have fun and enjoy these years.Getting good grades is important but being perfect isn't the goal. • There are more academic demands with long term projects and much more reading and tests. • For some kids just paying attention all day is tough when they really want to check their phones every other minute. 4. "Just do your best" is not the reassuring statement parents and teachers believe. It means to most kids, do your best or else! Try being more specific, like "Study for half an hour and if you wish, I'll quiz you." Being concrete is much more helpful. • Remind your kids you want them to achieve, but trying hard is sufficient. • Kids fear adults won't approve of them and think they're a lazy slacker. Be reassuring. • It's tough for the kids with the highest intelligence to meet perfectionist demands. • It's tough for those somewhere in the middle; they never feel they quite reach everyone's expectations. Kids who need resource help struggle wondering if they will be accepted as the work gets harder despite the recognition of their special needs. 5. Once again, the wisdom of telling your kids, "You're fine just the way you are" can't be said enough. They may protest that you don't understand them, but your words will sink in and help a great deal. • Friend circles abound shifting members sometimes daily. • It's the lucky kids who have some best, loyal friends to confide in and pal around with at lunch and at their lockers. • Our society seems to favor extroverts, those gregarious kids with many friends who take leadership positions. But not to be forgotten are the introverted kids who work hard, keep more to themselves, and have hidden talents that need to be discovered because they don't brag and show off all they know. • We have to look out for those quiet, reserved kids who are just as bright and curious as the gregarious, popular ones. 6. Remind your kids that how they are on the inside is far more important than how they look on the outside! • As bodies change, middle school kids look in the mirror constantly. • Boys, not only girls, care about the shapes of their bodies, how their hair looks, and how their skin appears. • Some are into designer clothes if they can afford it; others just want to feel accepted if they look cool enough to fit in. • Then there are the nifty kids who like to stand out with their own individual outfits. They get lots of attention and do, indeed, enjoy being themselves. 7. Be closely attentive to mood changes so you can become aware if they are passing phases or cries for more professional help. Yes, kids hide out in their rooms, secure themselves behind their computer screens and smart phones, but when is it normal and when is it withdrawal? • This is a time when identities are being shaped and formed--the beginning of adolescence. • Moods shift, irritability is common, and anxiety and depressive episodes are frequent. 8. The only way to know is to hold on to that parent-child bond. Have conversations about anything and the important stuff will surface. 9. Avoid at all costs being judgmental. 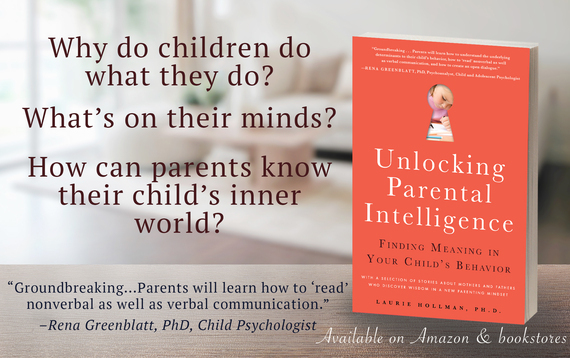 Only show you are interested and curious about your child's thoughts, feelings, opinions, and intentions. This isn't a time to quarrel and disagree. 10. It's a time to listen and listen some more. That's the way to get to know what's on your son or daughter's mind as their identities are growing. They may not show it, but they want their parents' approval and acceptance, as well as, their love. So, by all means give it! !